Scheduling snafu leaves thousands of American Airlines flights without pilots for "critical holiday period"
The Union representing American Airlines says the Airline just informed them of a problem with the pilot vacation system that has left thousands of flights without pilots. According to a post on the Union's website, "On Friday, management disclosed a failure within the pilot schedule bidding system. As a result, thousands of flights currently do not have pilots assigned to fly them during the upcoming critical holiday period. Today, management issued an update detailing the "significant holes" in the operation and unilaterally invoked a solution for crewing affected flights." The statement goes on to say American Airlines is offering a "premium" to entice pilots to fill the flights. 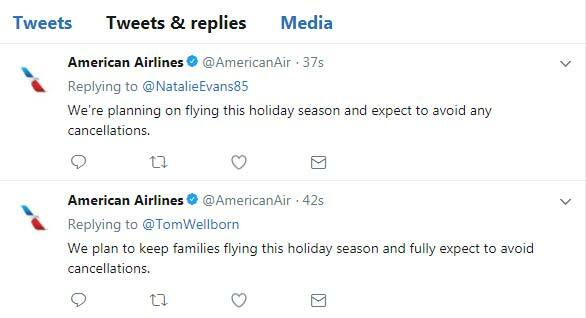 American Airlines has been responding to tweets from many people concerned with their upcoming flights, and is trying to assure fliers they "expect to avoid any cancellations."